These would be my desert island dessert essential. They look divine, taste so naughty but are pure goodness, and are fun to make too. They make the perfect tea party centrepiece, and your friends won’t believe they are good for you! 1. Preheat the oven to 200°C/180°C fan/400°F/Gas mark 6 and line the holes of a 6-hole muffin tray with cling film. 2. To make the base, place the almonds in a roasting tray and roast for 5–6 minutes, or until a shade darker and aromatic, taking care not to let them burn. Remove from the oven and leave to cool. 3. Place all the ingredients for the base, including the roasted almonds, in the bowl of a food processor and blitz until the mixture forms a paste that sticks together when you press it between your fingers. 4. Divide the base mixture between the 6 lined muffin holes, pressing it firmly into the base and sides. Place in the freezer for 20 minutes, to set firm. 5. Once firm, remove the tray and carefully lift up the overhanging cling film from each hole to release the mini tart cases. Place the tart cases on a plate, cover and chill. to make soups, curries, porridge or smoothies). 2. Add the thick coconut cream to the cleaned-out bowl of the food processor together with the honey, vanilla extract and salt and blitz until completely smooth. 1. Remove the tart cases from the fridge and evenly divide the coconut cream between them. Add three cherry halves to the top of each mini tart and scatter over the slivered pistachio nuts. 2. Serve immediately or chill, covered, for up to 3 days (or until ready to serve). Fearne Cotton is one of our best-loved television and radio presenters. This year Fearne completed filming the 13th series of Celebrity Juice in her role as team captain. Other programmes include The BBC Music Awards and Top of the Pops with Reggie Yates. 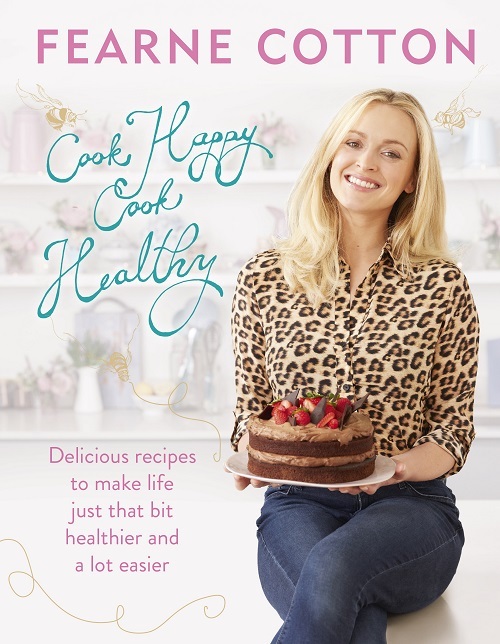 She is also a keen healthy baker and young, busy, working mum who has found some great ways to eat well and eat clean.